Superdry men’s Canyon crew jumper. This classic crew neck, cable knit jumper is perfect for the colder months and features a Superdry logo badge on the sleeve and is finished with a ribbed hem and ribbed cuffs. For the finishing touch, this jumper has been completed with a Superdry patch above the hem. 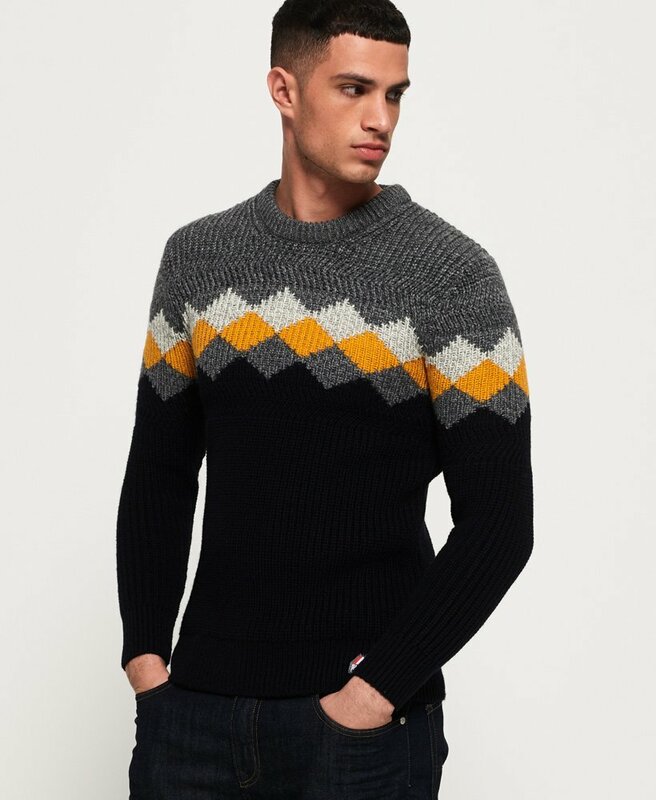 For a key look this season, pair this jumper with jeans and boots for a casual outfit.